1 edition of The papal sovereignty found in the catalog. Are you sure you want to remove The papal sovereignty from your list? 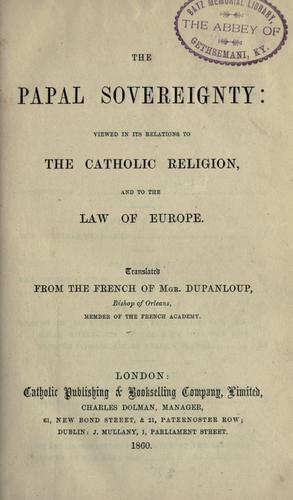 by Dupanloup, Felix Antoine Philibart bp. 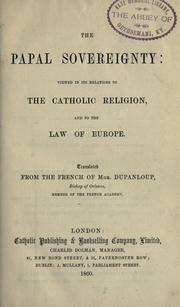 Published 1860 by Catholic Publishing & Bookselling company, limited in London .